I recently visited Society Fair - a food emporium and restaurant in Old Town, Alexandria, Virginia. Although it feels as though this little place has been part of the neighborhood for years, it's just over a year old. Society Fair is a food lover's paradise with a butchery, bakery, wine bar, demo kitchen & market. As if that's not attractive enough, it's all headed up by 2013 James Beard nominated chef, Cathal Armstrong, of the Eat Good Food Group. We ordered light fare in the bar - beginning with the house made Ginger Ale which was delicious and nothing like any other ginger ale I've ever tasted. 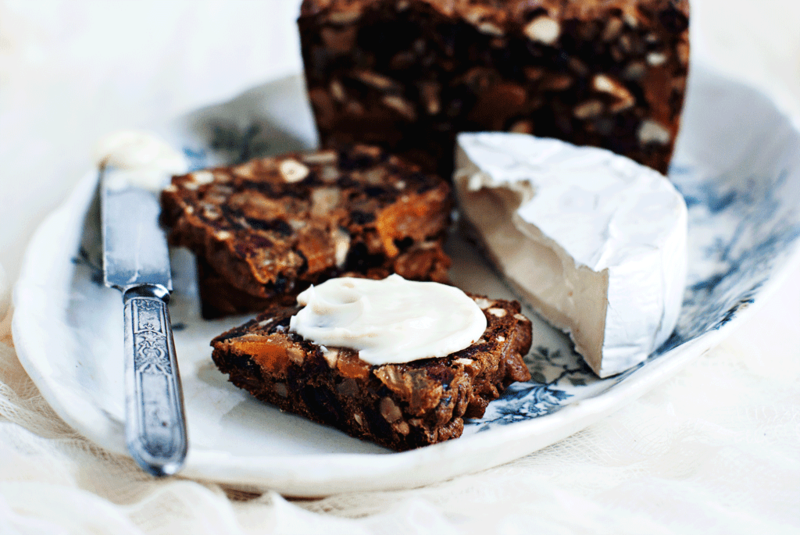 But what stole the show for me was the Fruit and Nut Bread that was served with a selection of cheeses. Before we left, we picked up a loaf from the market (how great is it to be able to buy take-home versions of what's served in the bar?!). While I'd be happy to head down to Society Fair and pick up more loaves, the baker in me was challenged to figure out how to make that bread. It seems that at Society Fair, this is a yeast bread. After doing some research, I found several recipes that did not call for yeast, but rather were quick breads. So, the recipe I'm sharing is not Society Fair's, however, it comes close. A side-by-side taste test would be interesting! 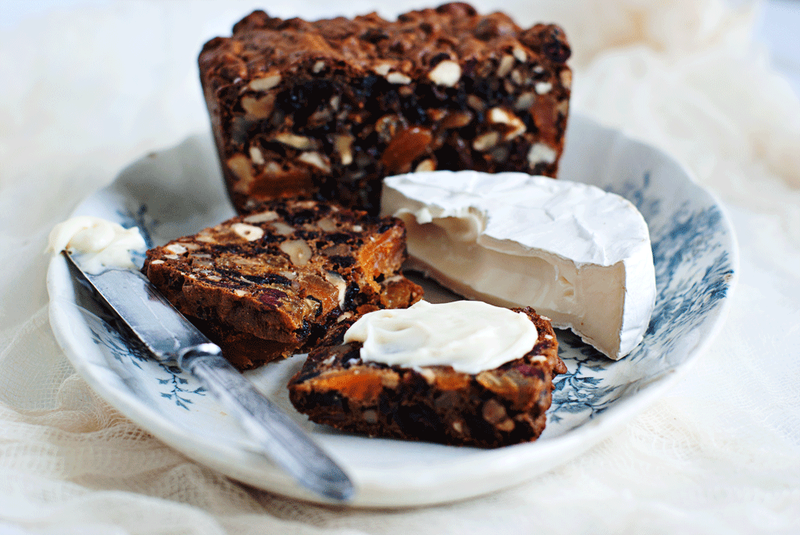 This recipe is inspired most closely by one listed over at Joy of Baking. This trick to this bread - I think - is that it has a minimum of batter. 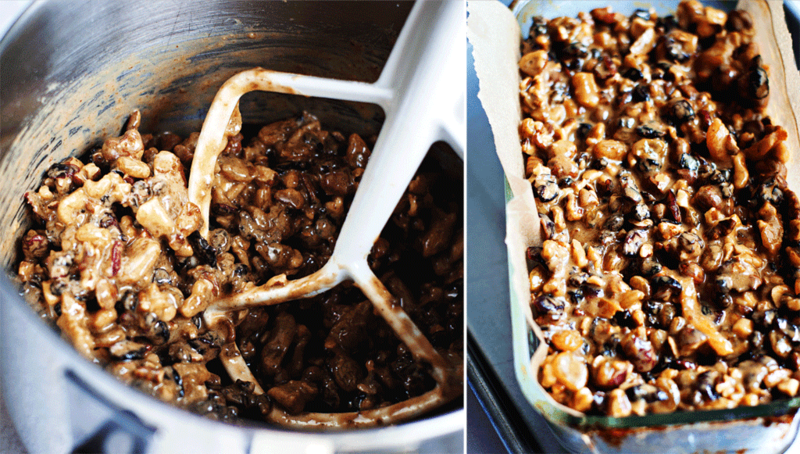 Just enough to bind together the nuts, sultanas, raisins, etc. I picked up some Camembert to go along with my bread...but I can see this being served with brie, goat's cheese, or blue cheese. 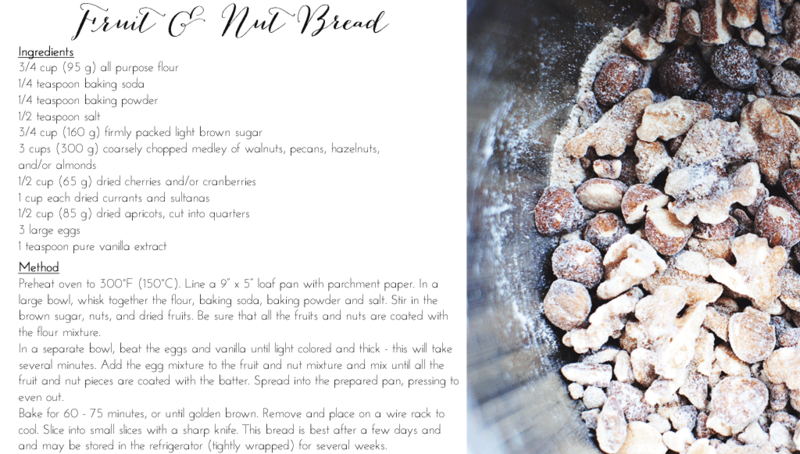 This bread is well worth making and would be a great hostess gift...if you're short on time, you can order Society Fair's fruit and nut bread. I know my Irish friends and relatives will love this bread - so it's coming with me in a few weeks when I travel over.